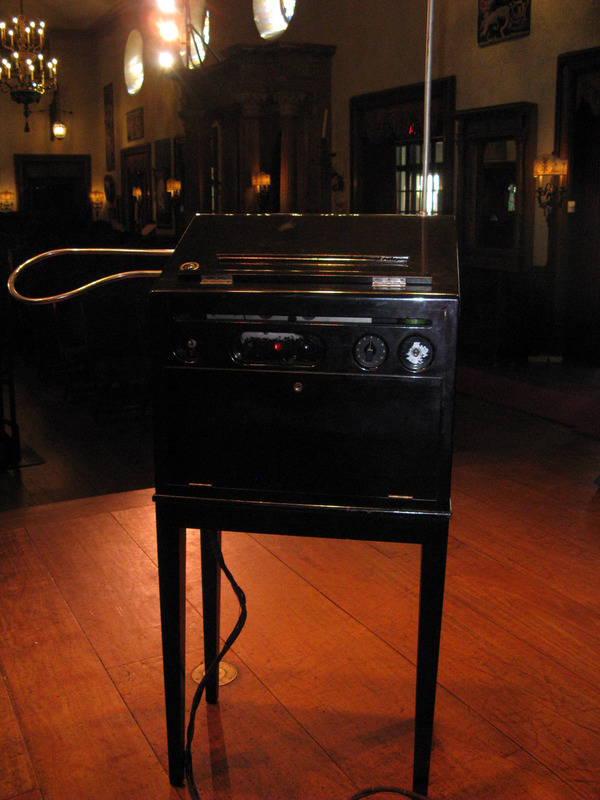 Where is This Instrument Now? Metal chassis, mounted vertically. 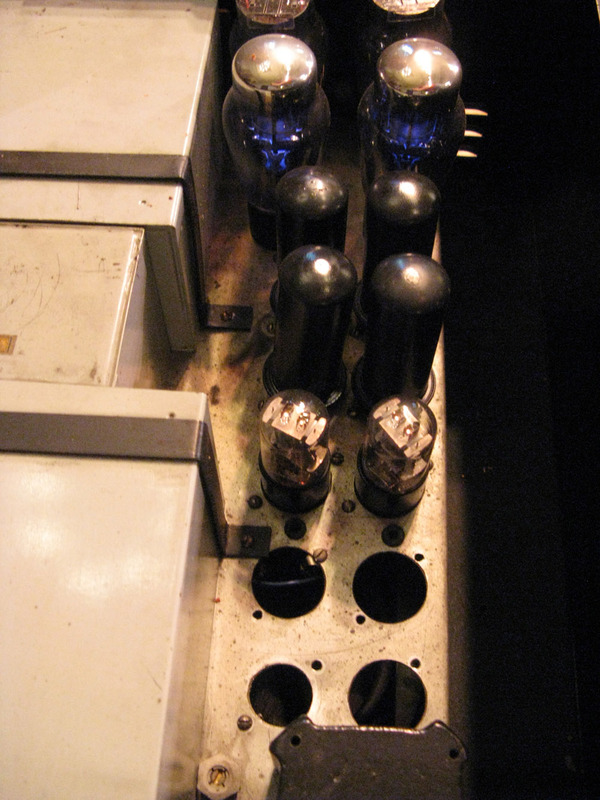 Separate power supply/amplifier chassis connected with cable, originally served as speaker base. 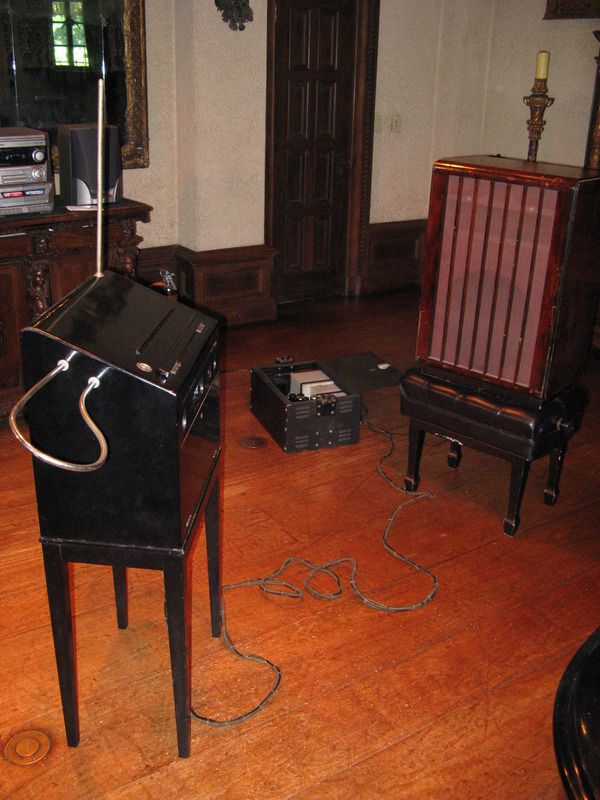 Cabinet is very similar to the 1938 Rockmore Theremin. 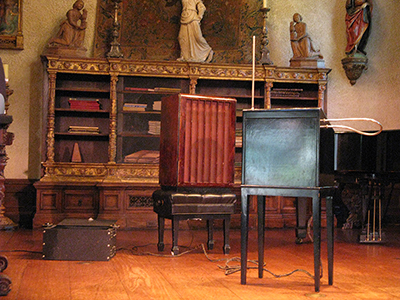 Seven octave range, auditorium type amplifier. 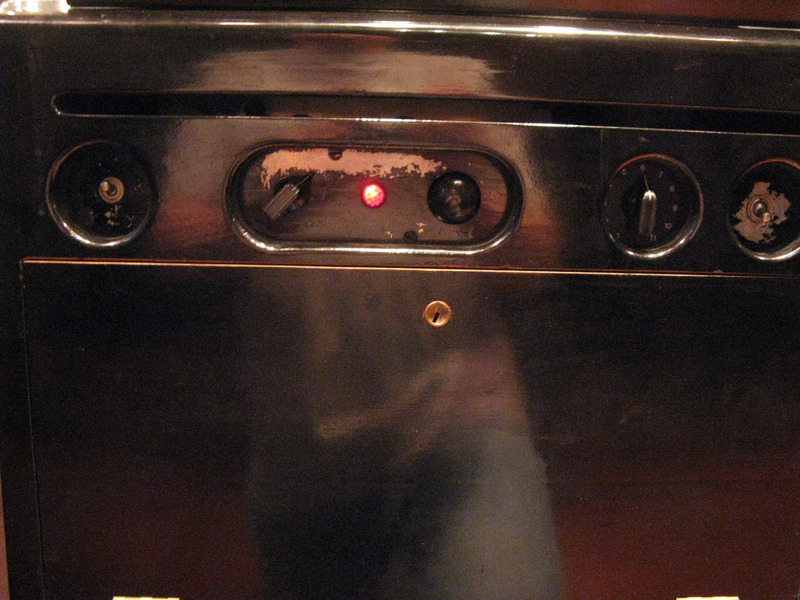 Rotary switch tone color selector, Neon pitch indicator. Many parts have been replaced. 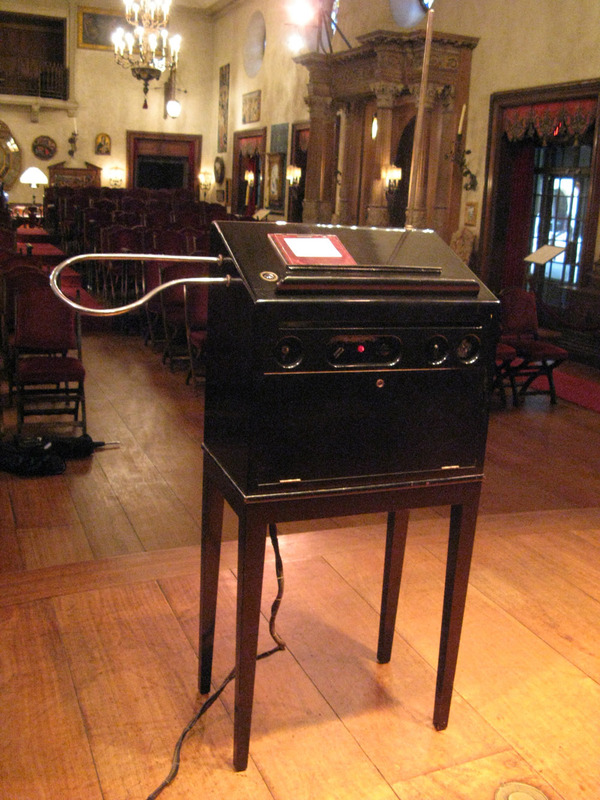 This is most likely the most powerful theremin ever built by Lev.